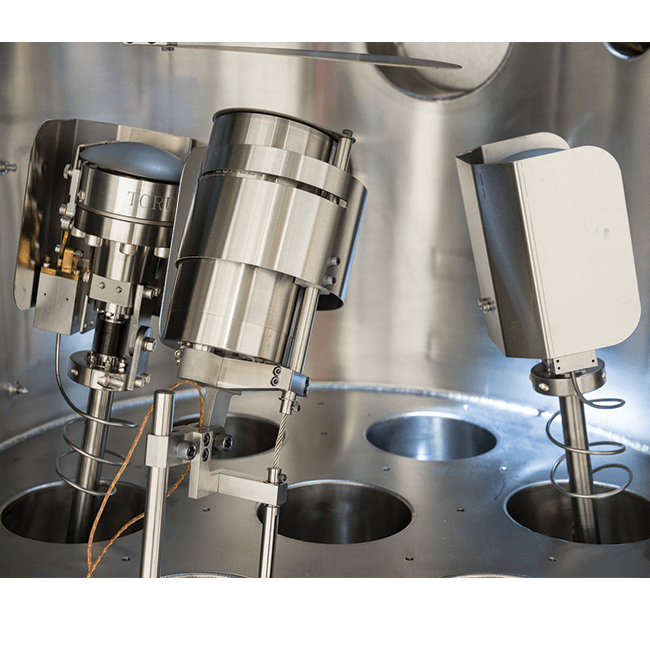 At Intlvac Thin Film, we design, engineer and manufacture a wide variety of customized systems for Thin Film PVD and Etch. 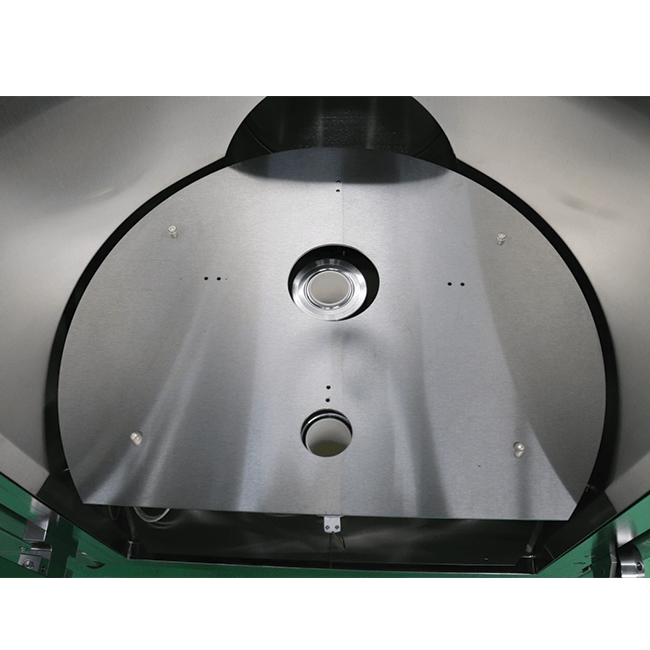 Our product line ranges from small R&D/pilot project systems to large production systems utilizing processes such as Ion Beam Etching, Sputtering, Electron Beam Evaporation and Thermal Evaporation fiber-optic coating and more. 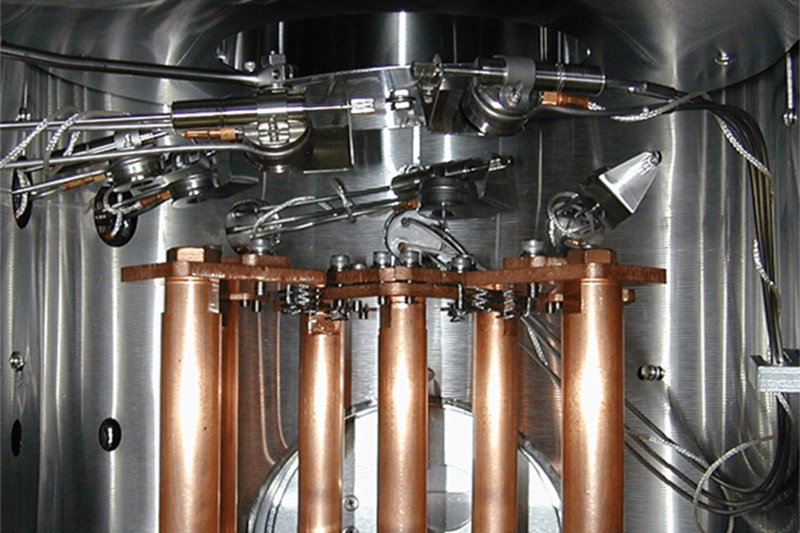 Magnetron Sputtering is a technique where a solid target is bombarded with energetic ions generated in a magnetron causing atoms to be ejected. 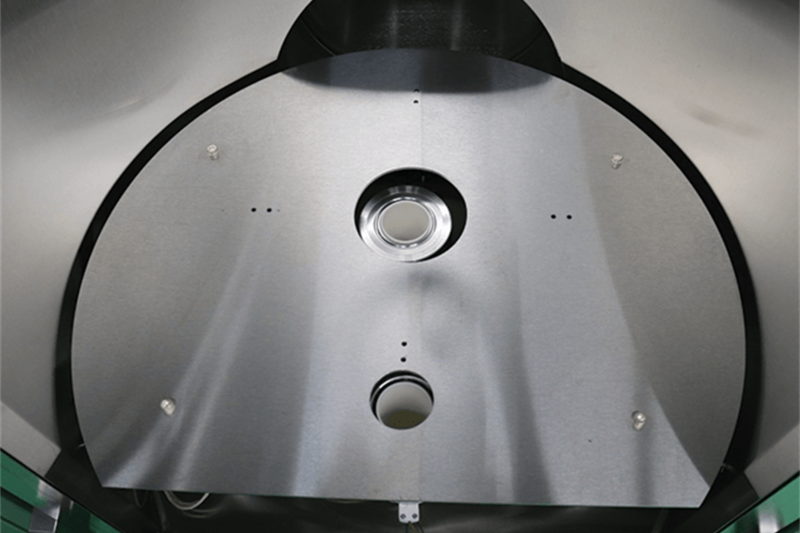 Ion Beam Etch (IBE) technology allows films to be etched or deposited by the use of beams of charged ions in a high vacuum system. PVD technique where an intense electron beam generated from a filament is steered via electric and magnetic fields to strike source material and vaporize it within a vacuum environment. Optimize the thermal evaporation of indium and other materials for solder bump structures using "lift-off" vacuum deposition. 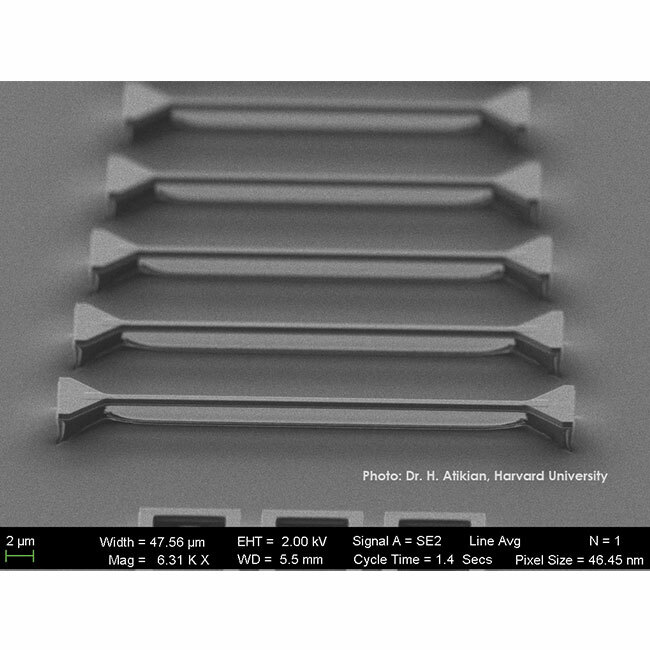 A materials engineering technique that combines ion implantation with simultaneous sputtering or another PVD technique. 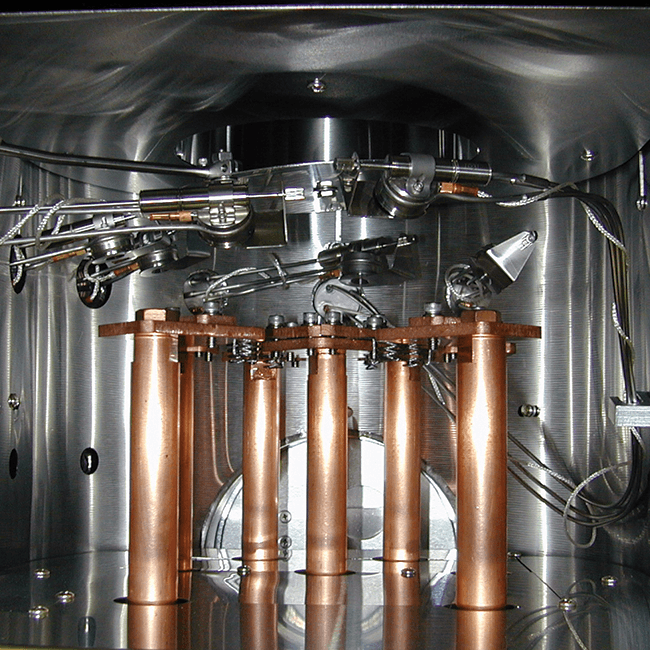 A PVD technique where a material is heated in a vacuum chamber until its surface atoms have sufficient energy to leave the surface. 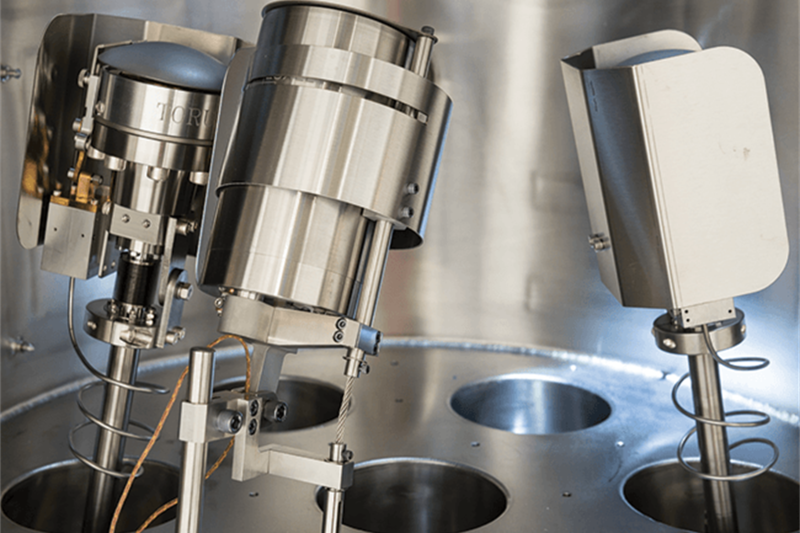 The Nanochrome suite of systems are highly configurable and can be outfitted with a mix of Magnetron Sputtering and Thermal and Electron Beam Evaporation. 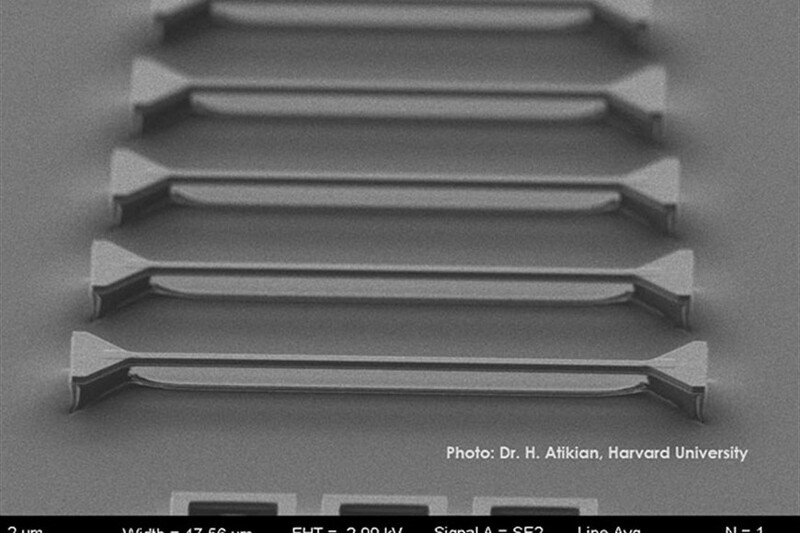 They are typically used for Precision Optics, Electronics and MEMS / NEMS applications.